Pilot house, port side, take from a position forward. G.S. Dole Collection. 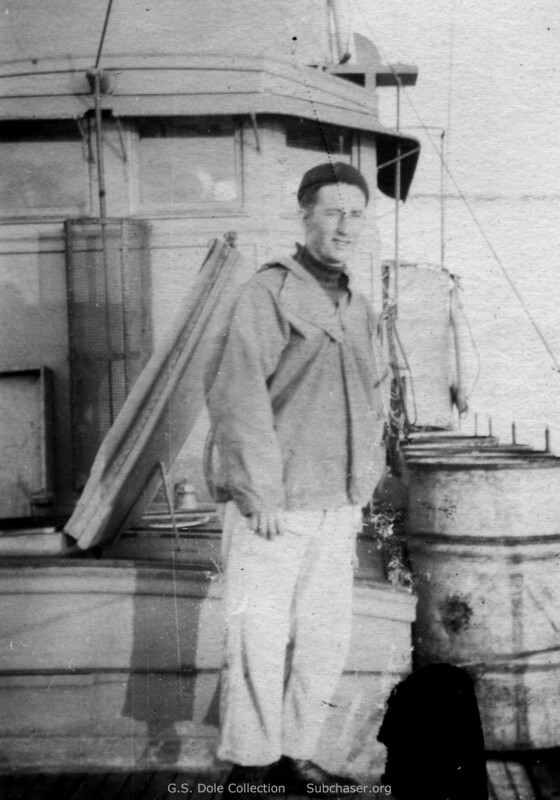 Note the open hatch on the deck house, and gasoline cans on deck, lashed in place. Also note the protective screen installed over the electrical lead to the antenna on the front face of the pilot house, center; and the canvas sun screen installed above the pilot house windows. 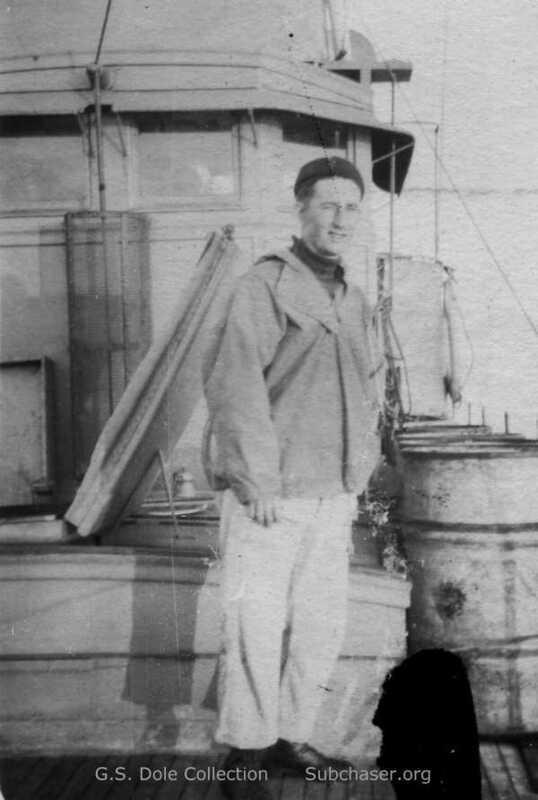 Above the head of the crewman and slightly to his left can be seen the end of a 2" x 12" wood brace installed across the top of the pilot house and cabled down to the deck, intended to keep the pilot house intact in rough conditions at sea. This feature can be seen on a number of chasers, but not all.